Downloading Mansion Poker requires at least 30 MB of free disk space, minimum Windows 98, 128 MB of RAM, and a screen resolution of at least 800 by 600 pixels. There is currently no support for Macs. To view any of the tables, you must register yourself. To register, you need to provide your first and last name and an email address. 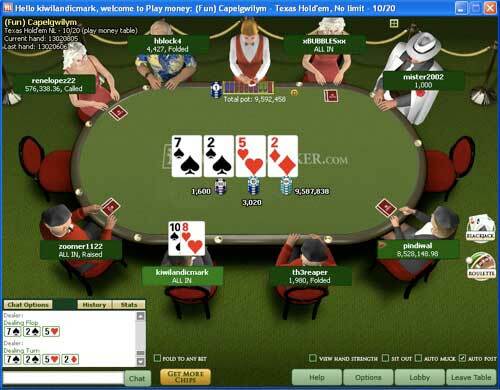 You will be asked to select both a username and a poker room nick name. These names can be different if you so choose. They will also ask you go select a location, but you don’t have to unless you’re planning on playing with real money. To start a real money account, there are a few additional questions. You must give them your date of birth, your gender, address, and phone number. At this point, you must identify your location. When it comes to currencies, there are 13 of them to choose from (but keep in mind that all the games in the lobby are US dollars). The Mansion client is now available in English, German, Spanish, or Swedish and they are constantly working on adding more languages. 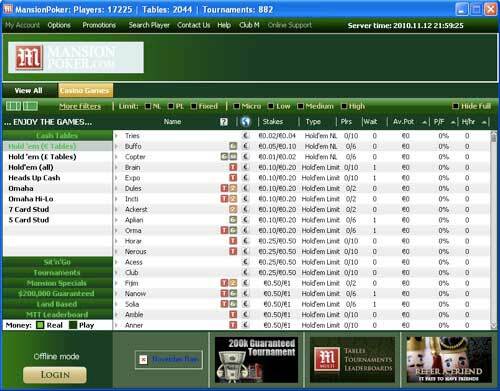 Since moving to the iPoker network, you should know what to expect with the Mansion Poker Download. All rooms that have the PlayTech software are top notch and they are always making new updates and adjustments.